Discussion in 'Boker USA' started by Tpost, Mar 24, 2019. I just ordered a tree brand beer barrel trapper. Picture shows Solingen on the shield and tang. My question is are these made in Solingen? Or elsewhere ? Also what do I look for in a Boker to know if it’s truly German made? It´s pretty easy: the "Solingen" inscription shows clearly that this knife is made in Solingen. We only us the Solingen logo for knives which are fully made in Solingen. Yep the Bokers made and assembled in Germany will be stamped with "Solingen". The Bokers stamped with just "Germany" were likely made in China and assembled in Germany. 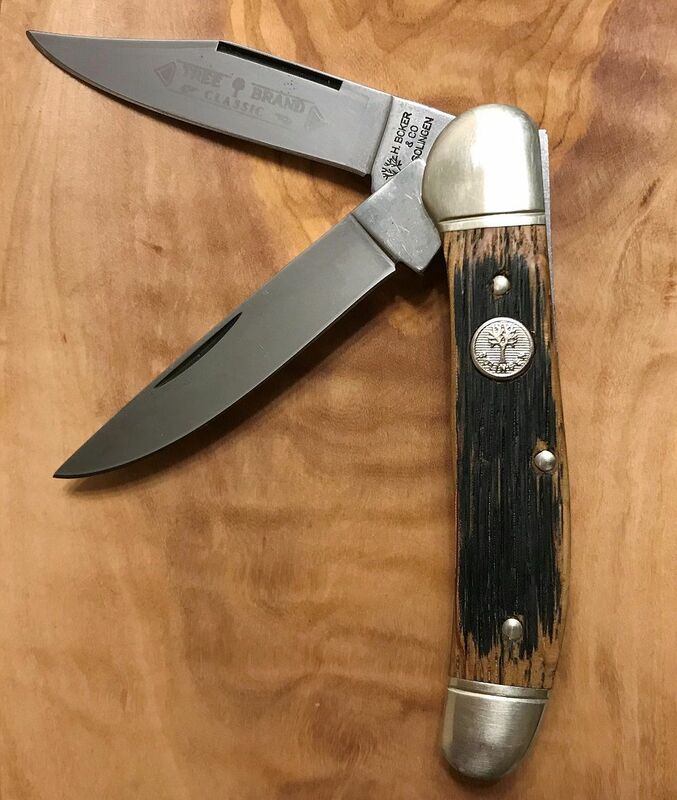 Boker makes a fantastic Trapper and I really think you'll enjoy the Beer Barrel version. I have a Beer Barrel Copperhead and it's one of my all time favorite traditional knives.